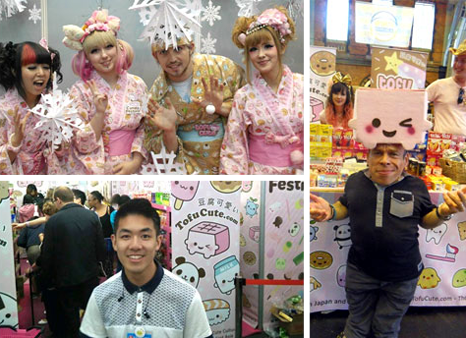 Tofu Cute Jobs - Join Team Tofu! 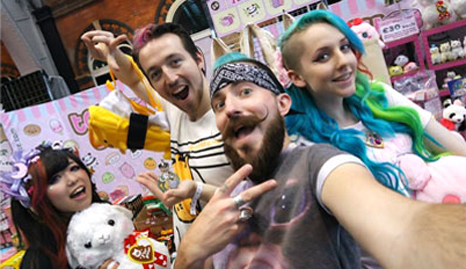 On the south coast of the UK, in a city called Portsmouth, is the home of Tofu Cute's shop and headquarters. Our permanent team is located there, however we also have many other temporary team members all across the country! 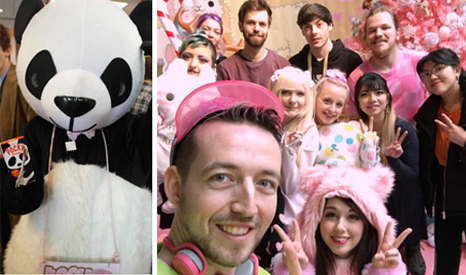 If you're as passionate as we are about Japan, why not join Team Tofu or come with us on our adventures around the UK and Europe? Below are a list of positions we are currently looking to fill - they're not always in Portsmouth, so keep an eye out! 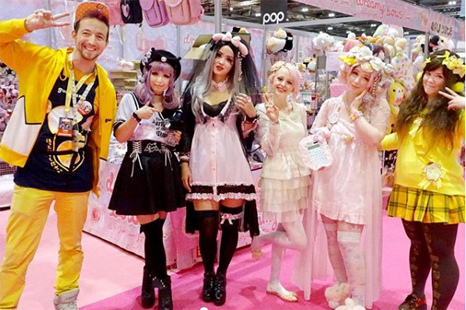 Tofu Cute is looking for an enthusiastic, outgoing sales assistant with a sunny disposition to join the ARTBOX team at Covent Garden. 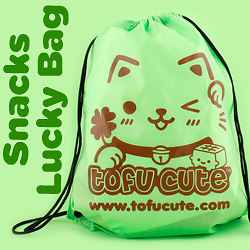 We are looking for someone with bountiful knowledge in sales to help drive the Tofu Cute brand and offer an exceptional customer service experience while achieving personal and store sale targets. You will be required to work hand in hand with the ARTBOX team to ensure smooth and profitable running of the store, which includes participating with in-store events and possibly assisting with stock deliveries, cleaning and window dressing. 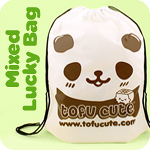 As the Tofu Cute Concession is located in Covent Garden, in busy central London, we would prefer that you had at least 1 year solid sales experience, are able to work in high pressured situations, are observant, well presented, a great team player, have strong communication skills and are flexible and available to work during ARTBOX's Monday-Sunday opening hours. If you feel that you have all of this and more, and are able to bring a smile to our customers faces, then this could be the position for you! We are currently looking for driven people with potential that would like to be part of our growing team and our ever expanding projects. Are you enthusiastic, passionate and have something to bring to the table? Tell us about yourselves and what you have to offer us. 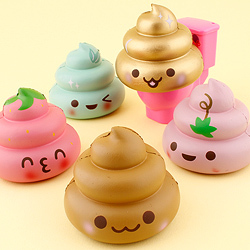 Let us know your skill set, past experience and your dream role you would ideally like to fill at Tofu Cute. This could be your opportunity to shine! There’s no minimum or maximum hours you can take for this role, but you should be available to work at least 4 hours in a day. You will be expected to restock and help out sales assistants with their tasks and cover their positions for short periods of time when needed, with training and support from senior staff members. This is an unpaid position, but allows you to enjoy the event for free before/after your shift. 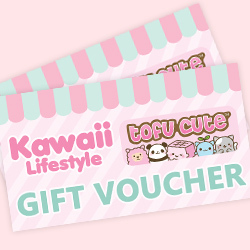 If you’re available multiple days, you may receive a Kawaii Lifestyle Gift Voucher that can be spent in Artbox, Dreamy Bows or Tofu Cute, with the value depending on the hours you’ve completed and your enthusiasm for the role. Volunteers can request to become Sales Assistants at future events if they’re available to take the required minimum shifts. 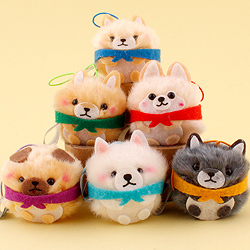 Needs to be available to work at least 3 out of the 5 days at events Tofu Cute attends. You will be assigned a small area of our booth that you will be your responsibility for the duration of the event. The tasks include interacting with customers to improve their experience as well as helping to increase sales by recommending and demonstrating products as well as potentially handling cash and card payments. This role usually entails some lifting and can be physically exerting. You will also be expected to keep your designated area tidy and restocked at all times, and help out with other areas if necessary. Training will be given and a manager or experienced assistant will be on hand at all times to help out if needed. Shifts usually last the duration of the event with a break during quieter times. If you’re not sure about taking a shift because you’d need to come in a bit late or leave early, 1-2 hours can usually be easily accommodated. This position pays according to your age. Please note your initial first shift will be a shorter training shift, which is unpaid as a trial shift. Any deadlines for roles are specified. We aim to reply to all applicants, but apologise if there is a delay. Please email or call us if you would like further information. Please make sure your details are entered correctly or we may not be able to reply.